This new version of the MixedRealityToolkit aims to further extend the capabilities of the toolkit and also introduce new features, including the capability to support more VR/AR/XR platforms beyond Microsoft's own Mixed Reality setup. Ensure an extensive framework for advanced integrators, with the ability to swap out core components with their own should they wish to, or simply extend the framework to add new capabilities. Learn more about the architecture behind Windows Mixed Reality - vNext here. Learn more about the approach behind the Windows Mixed Reality - vNext SDK here. MRTK-vNext is currently under heavy development, utilizing the current state of the MRTK_development as a starting point. Refer to this branch for working examples and experimental code. Learn more about the approach behind the Windows Mixed Reality - vNext SDK here. Which aims to help on-board developers quicker when building solutions. One radical change to the Mixed Reality Toolkit vNext, will be the standards and approaches to real world example scenes. Each example must have a use and demonstrate a real world test case (no tests). Each example will use a standardized template, so all examples have the same look and feel. Each sample will be fully documented, detailing both the use case it is demonstrating and how to implement the features demonstrated. 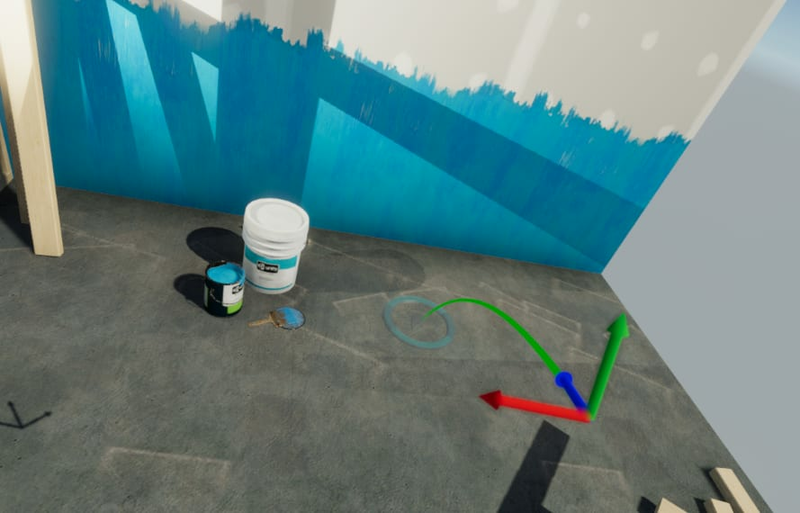 Check the "Work In Progress" section of the Windows Mixed Reality - vNext SDK for a peek at the first new example. External\How To docs folder is meant to help everyone with migrating forward or any simple doubts they might have about the process. Please feel free to grow all these sections. We can't wait to see your additions! Microsoft Xbox MVP, Unity Author and all round Game Development Evangelist. Trying to learn something new everyday. I am also one of the core contributors to the project defining core architecture patterns and help drive feature progress. It's been a busy month and we're all hammering away on the toolkit, adding new features, refining existing ones and even whipping up a few "add-ons" in the process. Getting started with any new project / framework or toolkit can be quite daunting, especially when that toolkit has such a wide reach, like the Mixed Reality Toolkit. The last post gave you a taste for what the project was about, it's goals, aims and dreams. What's covered in this quick start? 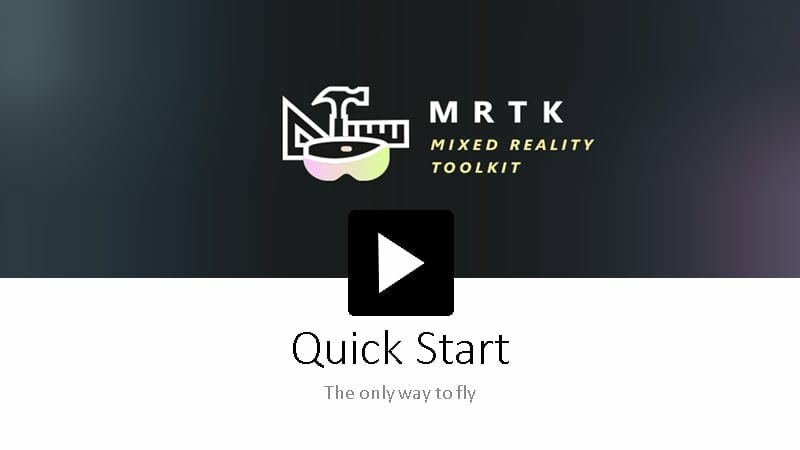 In this short guide, we're going to give you a quick 10 minute rundown for what is takes to get off the ground with the Mixed Reality Toolkit. This is just a quick start, so we won't go in to too much depth in to building an entire project or all the systems available. Those will be covered later. Either watch the video or keep reading. Once you have your project open, we can start adding the MRTK to it. The team are working hard on multiple delivery mechanisms for the Mixed Reality Toolkit. Once it's downloaded, it is ready to start importing. Like any other Unity asset, you can simply import the downloaded ".unityasset" package in to your project using the "Asset -> Import Package -> Custom Package" option from the Unity Editor menu. What the MRTK provides though, is an optional one stop shop to prepare and configure your project automatically, to get you up and running even quicker. If Unity is deprecating .NET, why use .NET 4? Accepting this dialog is completely optional and you can choose to set the above options manually later if you wish, we won't ask you again. With one exception, the MRTK takes advantages of advanced features available with the .NET4 Scripting Runtime, so your project MUST be configured to use it, else all you will get is a bundle of wires and loads of console errors. Now that the MRTK is in your project, you are ready to get up and running. So you have your VR project and the MRTK installed, what next? 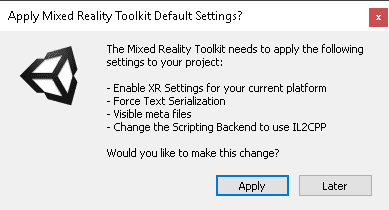 Mixed Reality Toolkit - The toolkit itself, providing the central configuration entry point for the entire framework. MixedRealityPlayspace - The parent object for the headset, which ensures the headset / controllers and other required systems are managed correctly in the scene. Note While working in your scene, DON'T move the Main Camera (or the playspace) from the scene origin (0,0,0). This is controlled by the MRTK and the active SDK. If you need to move the players start point, then move the scene content and NOT the camera! 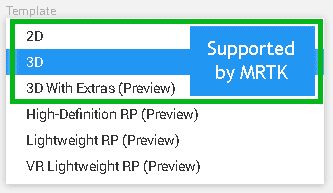 The MRTK provides default configuration with every option turned on by default, which enables you to hit play as soon as your scene is configured. Whether you are on Windows Standalone with OpenVR or have switched to a Windows Store build (WSA), the project will just Run. What is provided by default? The video also shows some quick instructions about getting your scene "VR Ready" by adding colliders and some quick interactivity, but that is best left to a fuller post on the subject. There have been many toolkits / frameworks and assets created to date to help developers to create Mixed Reality solutions, these are also then multiplied for each and every SDK / device that vendors have supplied. BridgeXR Overlaps all the installable SDK’s with some common orchestration components with a VR focus. Virtual Reality Toolkit (VRTK) Another VR focused framework which has been very popular with the community and has lots of support. Currently being rewritten to expand its reach. HoloToolkit A true mixed reality framework utilizing spatial recognition & understanding and a wealth of Mixed Reality UX components to speed up development, however is wholly focused on the Windows Mixed Reality platforms such as HoloLens and Windows 10. Within this landscape, the need for a true Mixed Reality framework was identified, being able to cope with all the various needs across the whole spectrum of Mixed reality, from VR (Virtual Reality), XR (Cross Reality) to AR (Augmented Reality). The framework would also need to be extensible enough to cope with the multitude of devices, both now and in the future. 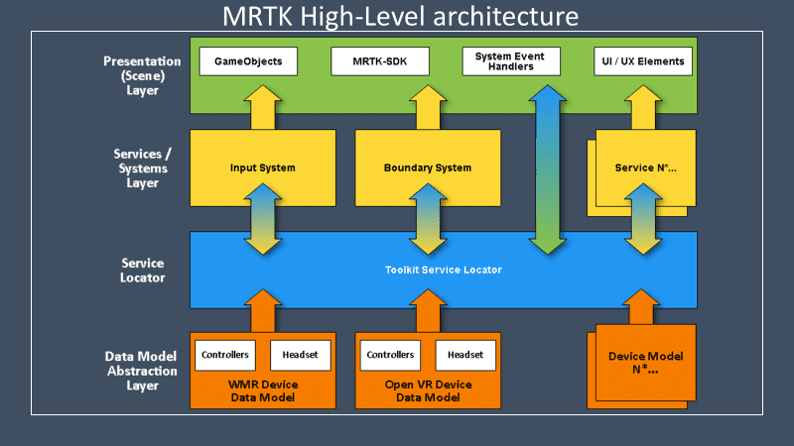 Thus the new Mixed Reality Toolkit (MRTK) was born. The core architecture separates each area of required functionality in to their separate parts, ensuring there are no hard dependencies between them. This enables any single component of the framework to be easily replaced or extended. New devices can be added according to the definitions set out by the framework and input is orchestrated in a non-platform dependant way. So that no matter what device is plugged in to the framework, a developers project will remain unaffected by the change and just receives input in a MRTK standardised format. One core piece of feedback the team had in the formation of the project, was that everything needed to be optional, not all projects would need all the features of a full Mixed Reality Toolkit. Some projects only provide a VR experience, some might just be AR, others might only need networking / sharing as their backbone, so the toolkit had have the lightest footprint as possible, only enabling what you actually need. What really challenged the team, was the thought that any code NOT needed should NOT even be in the project. If you have ever tried to build a framework where you users can go and delete large portions of code and still run, you should know this is a real challenge. This was just a taste of what has gone on with the Mixed Reality Toolkit to date, summarizing months of discussions, code, rewrites, fights and the odd barn dance or two. The team have been focused on forming a solid foundation for the project, focusing on Windows Mixed Reality and OpenVR as a start (the two main platforms for launch) and ensuring all systems work well, no matter the platform you deploy on. We’re not there quite yet, a lot of systems are in place and yet more are in the midst of being built, but it’s all functional. If you want to quickly dive in and start playing, then check out the main Mixed Reality Development branch for more info. P.S. be sure to check out the next article which will give you a 25 minute “getting started” guide to see what all the fuss is about.